Wish I knew the name of the tree on which these berries grow. It looks very similar to the neem tree and the berries are also somewhat similar to the neem. But I don’t think these are neem berries. 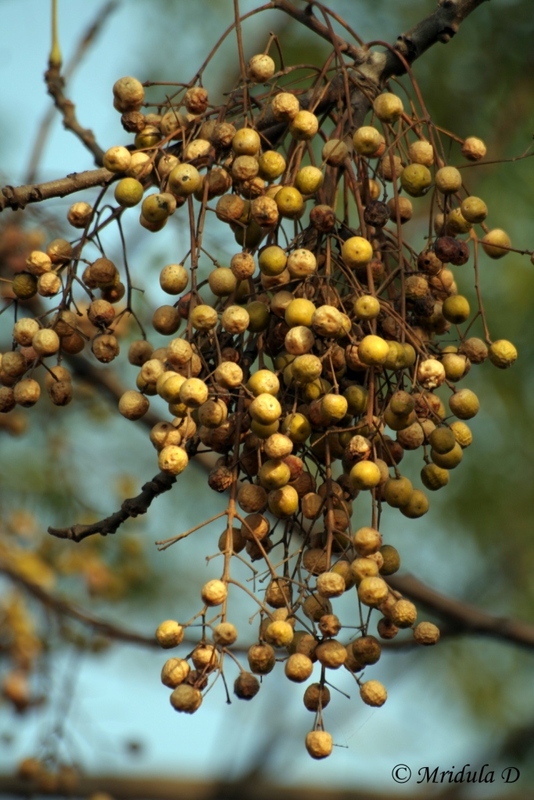 Updated on March 2, 2012: These threes are known as Bead Tree and also China Tree.